Wendy here to share up some weekend inspiration for ya! I chose to go for a simplistic layout on this one. 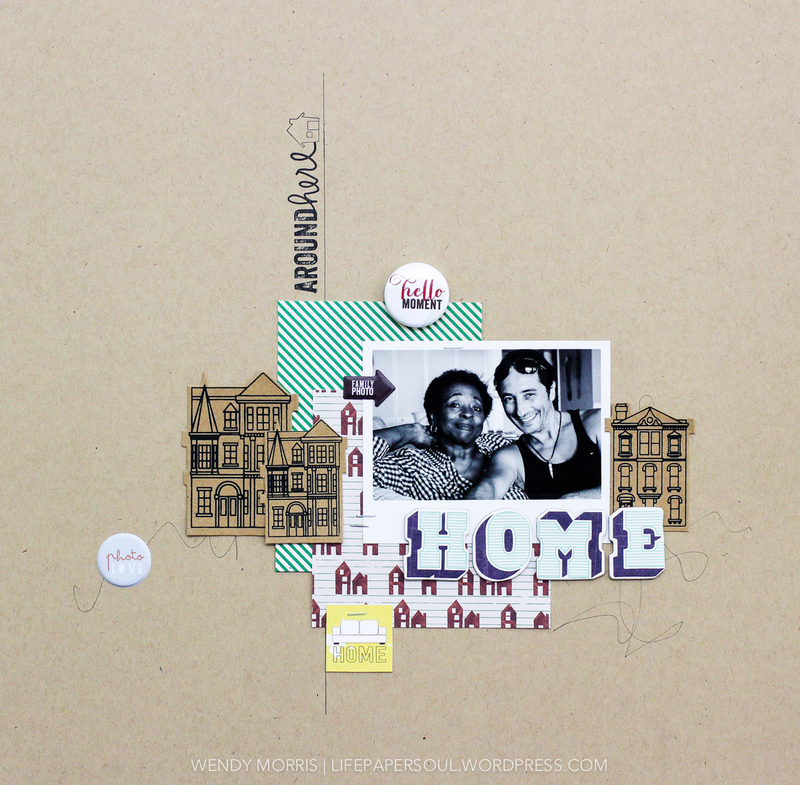 I worked in some fab Evalicious stamps using the Week in the Life Prompts along with my favorite puffy stickers and Everyday V1 Badge Buttons. 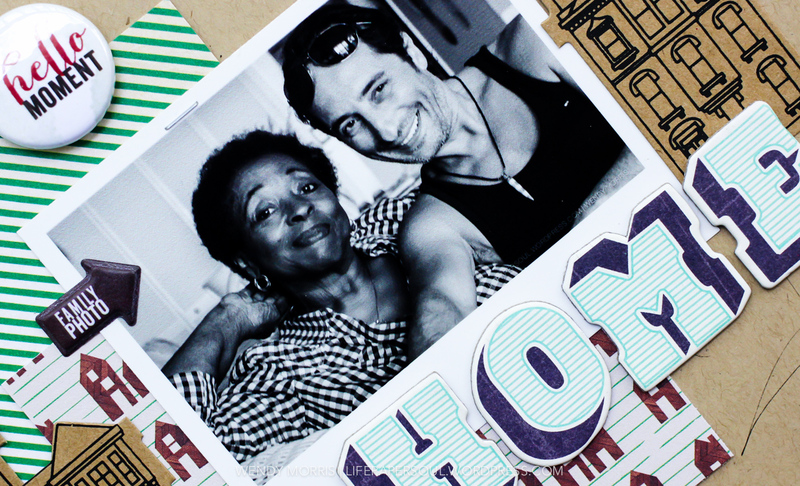 This layout really captures a couple of my favorite loves...my mom and my fiancé. The type of love that feels strong, comfy, real, and pure. I chose to go with a single photo on a one-page layout. I used kraft cardstock as my base color. 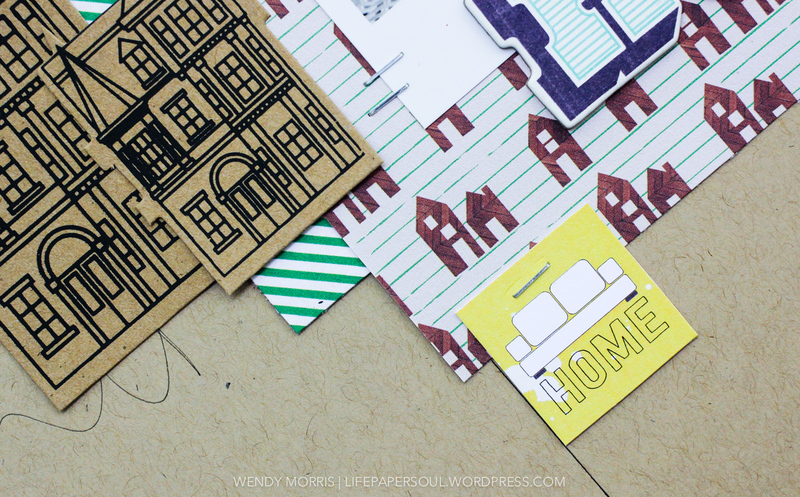 Then, I layered coordinating house pattern paper and house diecut shapes. The splash of green on the striped paper worked well with the striping on the chipboard letters. 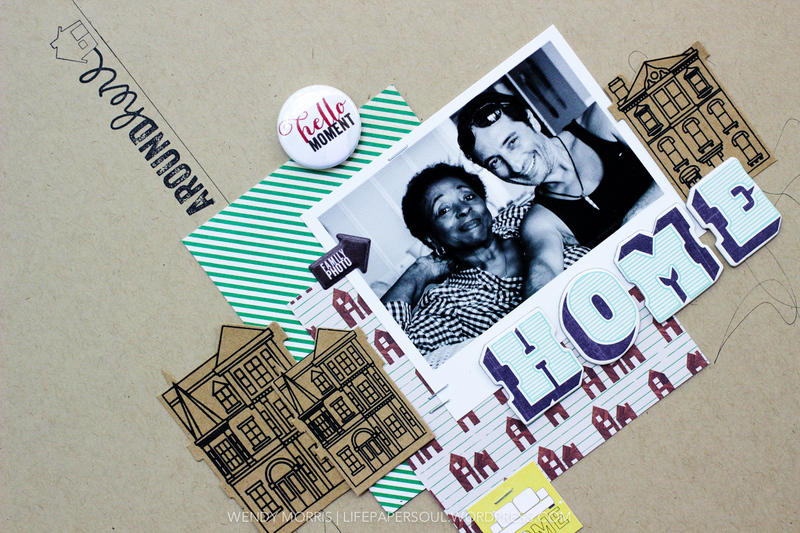 I used the 'around here' stamp from Week in the Life Prompts on a vertical line. I like to change things up time to time from creating on the horizontal. Ha! So, I went the vertical route on this part of the title work. 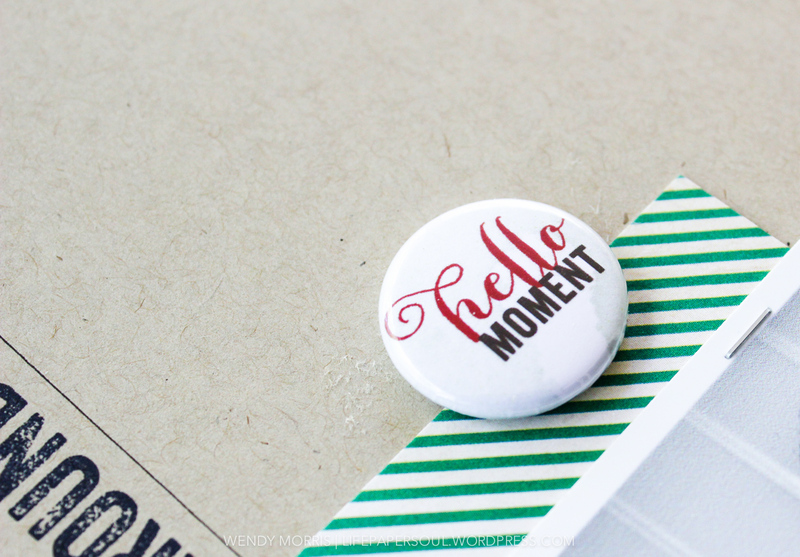 The 'hello moment' badge button from Everyday V1 Badge Buttons was added to the edge of my striped paper. 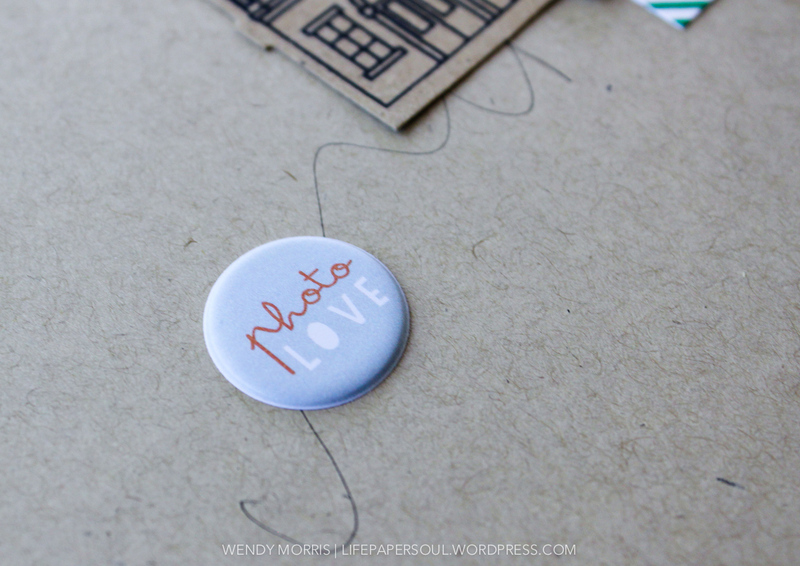 The 'photo love' puffy sticker from Hello 2014 Miscellany V2 Puffy Stickers was added as a bit of free spirit touch. Also, I used the 'family photo' puffy sticker arrow from Camera Love Puffy Stickers to the edge of my photo. 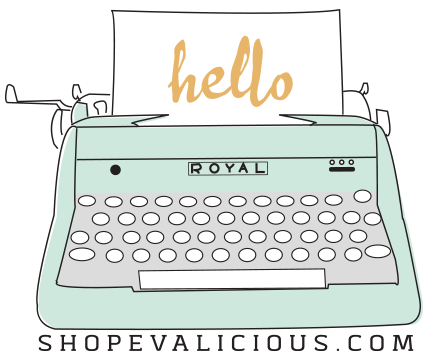 I couldn't resist using the sofa page tab from Just Us Snip Snip Page Tabs. I mean how cute is that sofa? Oh, and I love that little pop of yellow! 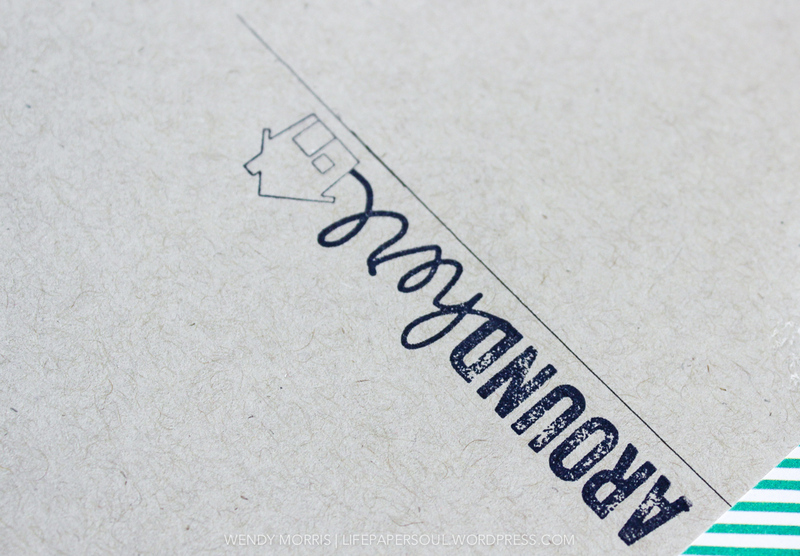 The full supply list is posted up over on my blog.